Once you’ve chosen a sport, the next consideration you must make is the type of team you want your child to be on. 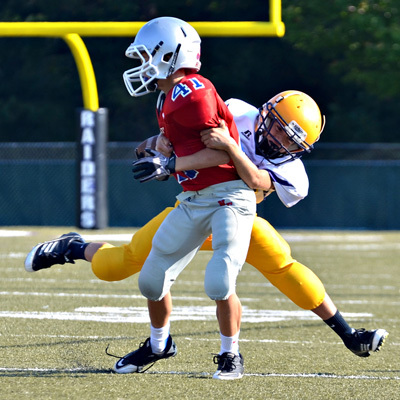 Youth sports leagues fall into two basic categories: competitive vs. recreational. Both provide benefits and drawbacks for you to consider before enrolling your child. A recreational team is playing for the experience and the fun. This is the team that will teach the basics of the game and give your child a general understanding of the competitive nature of sports. The emphasis will be less on winning and more on learning in a recreational team. A competitive team is looking for highly skilled players with the goal of winning the competition for the year. This is ideal for a player who is a bit more skilled in the sport and loves the competitive nature of the game. With a competitive team, you will have more practices, more games and the option to travel if the team excels. The schedule may not be very flexible. KJ Dell’Antonia of the New York Times’ Motherlode blog warns that this intensity can be hard for some children, but some will thrive on it. With both types, you need to watch for the potential drawbacks. If you eventually want your child to be the best at a sport, there is a limit to the amount of training provided by a recreational team. If you choose a competitive team, make sure that the game stays fun. Regardless of how skilled your child is, sports should still be enjoyable. For your child to have a great first experience in a sport, see if you have an option to choose the team based on the coach. Learn what the coach’s emphasis is, and choose a coach who has goals similar to yours. For example, some coaches are set on winning at all costs. While this might be the right approach for a competitive team, it will frustrate a child who is just learning a game for the first time and can rob the game of its fun. On the other hand, some coaches are all about having fun. This style will ensure that your child enjoys the experience, but it may not teach enough about the skills of the game or the competitive nature of sports. If you have several coaches to choose from, look for one with a balanced approach. This will help your child gain the most from the experience while also preventing frustration. As you consider your options, remember this final thought: what is right for everyone may not be what is right for your family and your child. 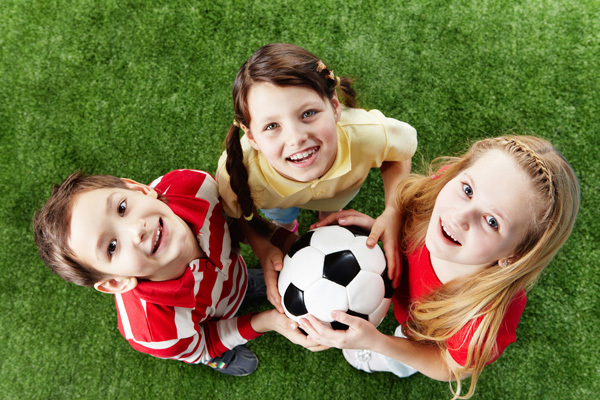 Make the decision that best suits you all, and enjoy the benefits of youth sports for your family. Brandon Capaletti is the Vice President of Cisco Inc., a Maryland-based athletic apparel manufacturer that designs, produces and distributes custom uniforms for 18 different sports including basketball, soccer, and baseball. The coach can really make or break the season. If your child really warms up to them and their style then they are going to learn a lot, have tons of fun, and really love their time. If they coach’s style doesn’t jive well with your kid getting them to practice each time is going to be a bit of a chore.